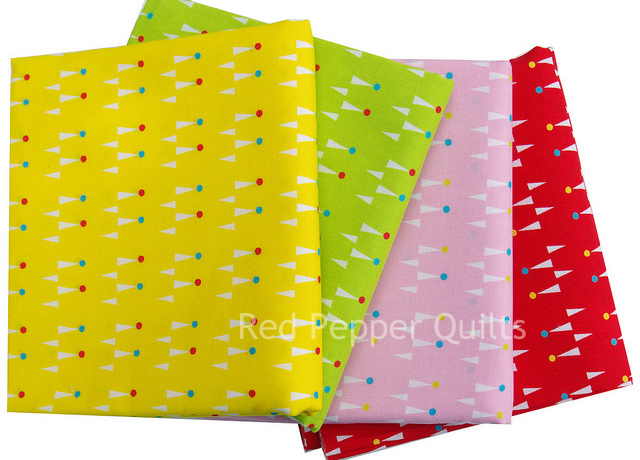 Red Pepper Quilts: Sunday Stash #284 Backyard Circus by Jodie Carleton and a Giveaway! Sunday Stash #284 Backyard Circus by Jodie Carleton and a Giveaway! 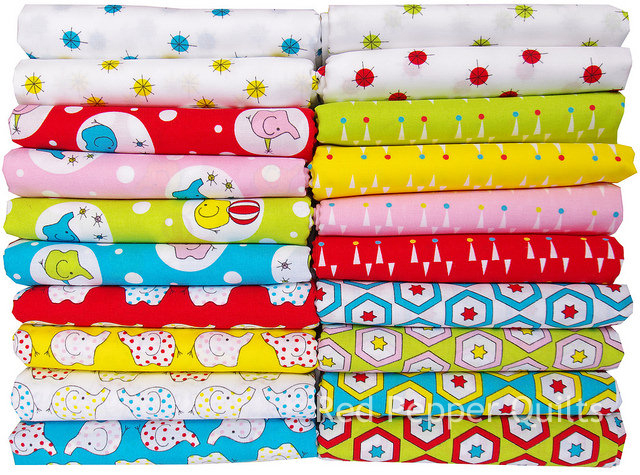 Backyard Circus is Jodie's debut fabric collection for Ella Blue Fabrics. 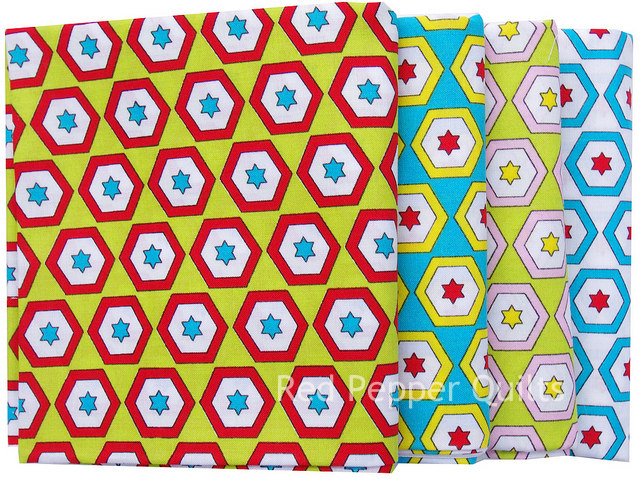 Jodie wears many hats including school librarian, toy maker, toy pattern designer (more than 50 toy patterns are available from Jodie's online pattern store), blogger, social media enthusiast, and now also fabric designer. Backyard Circus is a true reflection of Jodie's personality; colorful, bold, and most of all fun. Having had the pleasure of meeting Jodie in person I can tell you that she is kind-hearted, genuine, and funny, and won't mind me telling you that she's truly a kid at heart. 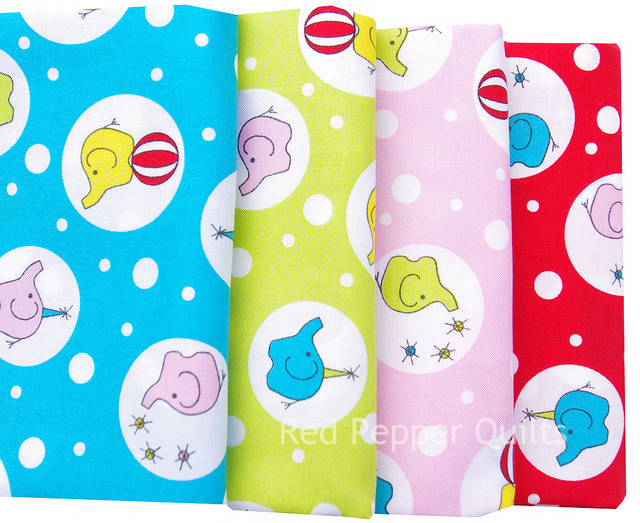 I imagine this fabric collection will make many children (and adults) very happy. 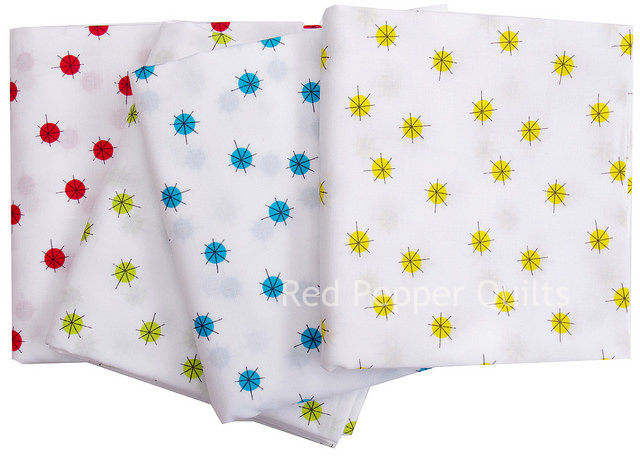 Not pictured in the above photos but part of the collection is the Ava & Oliphont fabric panel ready to cut and sew and available in two colorways. 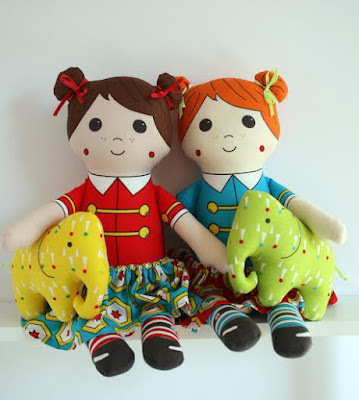 I love that Jodie has stayed true to her love for toys, and I envision that there will be many Backyard Circus dolls and toys, as well as children's clothing, pillows, accessories, and need I say, quilts. Photo by Jodie Carleton. Used with permission. I'll be updating this list as the collection arrives in stores. 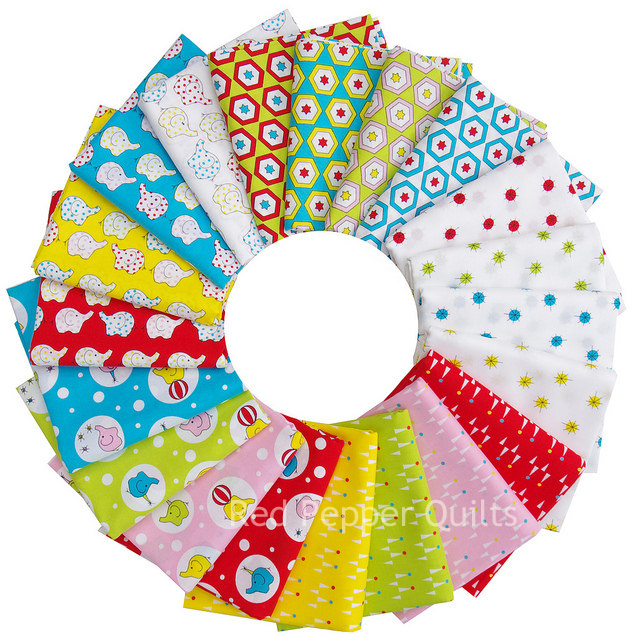 Jodie is kindly giving away one Fat Quarter Bundle of the Backyard Circus Collection (including 2 panels) to one lucky RPQ reader. The draw will take place at 11am (Australia EST) on Tuesday 9 June 2015, at which time comments to this post will be closed. The winner will be announced by edit to this blog post, and will also be contacted by email. Congratulations Jodie on the release of your first fabric collection, and thank you for allowing me to photograph and work with your fabric collection. More photos next week of what I have turned this bundle of fabric into. Congratulations Cassandra! Cassandra has been contacted by email.